Sen. Nancy Skinner sponsored SB 312. Frankie Guzman is a lawyer for the National Center for Youth Law who’s helped make major changes to the state’s criminal justice system and holds degrees from both UC Berkeley and UCLA. But if you were to run a simple online background check on him, one of the first things you would see is a felony conviction for a robbery he committed decades ago, at the age of 15. For Guzman, this means he’s been denied housing and is ineligible for many government jobs despite being crime-free for years. But a new Senate bill that Guzman co-authored and advocated for could change that. SB 312, which passed through the California Legislature Tuesday, is set to pave the way for people to seal court records for crimes they were convicted of before they turned 17. 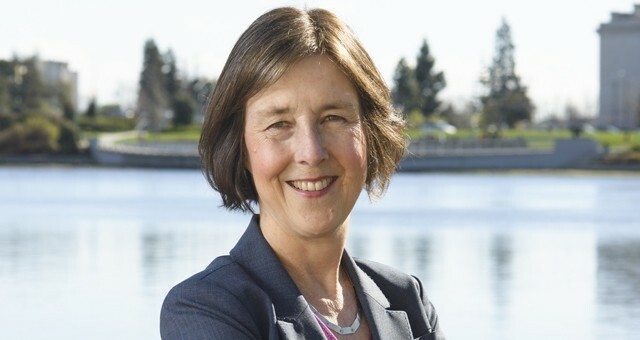 Proposed by State Sen. Nancy Skinner, D-Berkeley, the bill is intended to help eliminate hurdles to housing, employment, and post-high school education that former youthful offenders often face. According to The Anti-Recidivism Coalition and the Commonweal Juvenile Justice Program, the bill could impact between 2,000 to 3,000 Californians with juvenile offenses. When Guzman first started looking for housing on his own after college, he said he was denied or ignored by nearly every landlord he tried to rent from. It was only when one of them called him to tell him they had concerns about the felony on his record that he realized his conviction was still showing up on background checks, even though he was convicted of the crime as a teenager. In order to reverse portions of Prop 21, SB 312 required a two-thirds majority to pass in both houses of the legislature. Although it faced some criticism on the Senate floor as a bill that would let people who committed serious crimes in their youth, like murder, off too easy, it gained the necessary votes in both the Assembly and Senate to be sent to Gov. Jerry Brown's desk. Guzman stressed that harsher punishments for juvenile offenses often do more harm than good and do not take into account rehabilitation or the increased maturity that comes with age. With the passage of SB 312, a past offender must be crime-free and show rehabilitation in order to petition to have their records sealed. The bill, Guzman noted, means that people who have turned their lives around can move up in the world and not have to face permanent consequences for a crime they committed in their youth. The UC Berkeley research showed a correlation between progressive policies and stronger growth for employment and gross domestic product.